Copy sound like original tone, without overtone, overgain, and etc…This pedal combine delay and booster volume in one stomp. When you want make solo guitar with turn on delay and increase volume? You just need this device. Simply thing!! 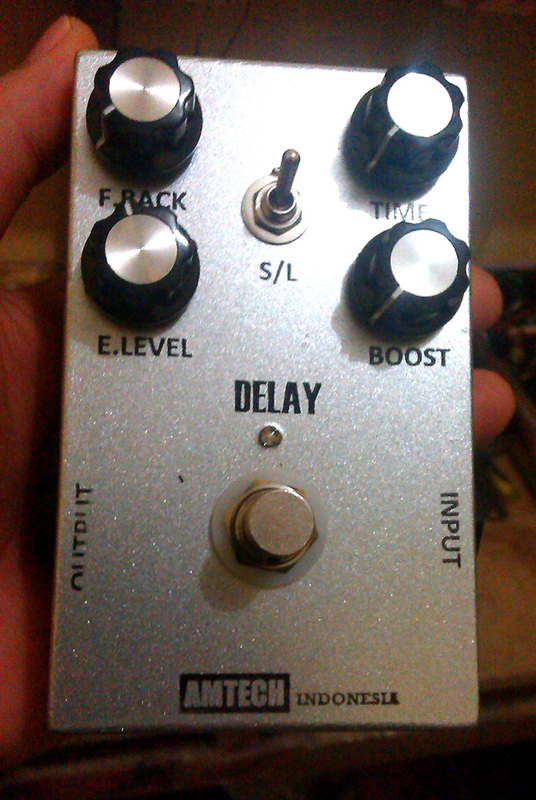 Mau solo gitar butuh volume naik dan delay on? 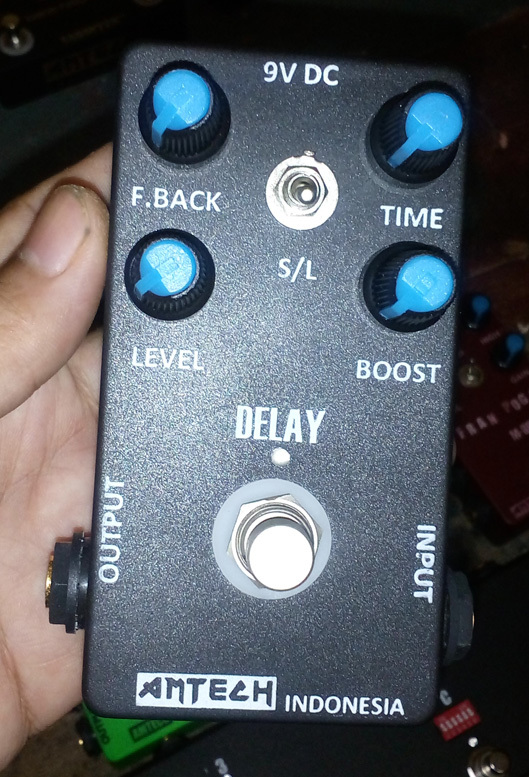 Inilah delay AMTECH yang memfasilitasi delay dan boost jadi satu pedal stomp.